Fred Berman as Timon (left) and Ben Jeffrey as Pumbaa are nearly as close off the Broadway stage as on it in their performances in The Lion King. 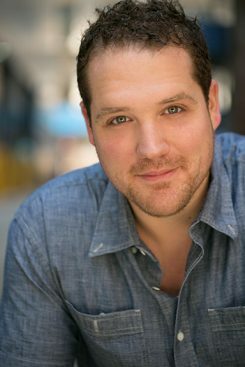 One of Abilene Christian University’s most accomplished young graduates is Ben Jeffrey (’06), who has played Pumbaa in Broadway’s The Lion King since 2010. Jeffrey will be performing a one-man show, 1,700 Miles to Broadway, on Nov. 10, as the fall semester Lights Up! event to raise funds for the Department of Theatre. Jeffrey has played Pumbaa in The Lion King since 2010. What can someone in the audience expect from your one-man show at ACU? First and foremost, I think they can expect a lot of fun. We love theatre because it’s many things; it teaches us, it moves us, it inspires us, but just as importantly, it’s fun! So I’m going to sing some of my favorite songs and tell some of my favorite stories about my experience on the great white way. Whether you’re a veteran theatre-goer or you’ve never seen a live show before, I think there’s going to be something there for everyone. How did the idea for it – and the theme of 1,700 Miles to Broadway – get started? I’ve actually been wanting to return to ACU for quite some time. My wife has never been, and so much has changed since I was there. However, while it’s possible to get time away from The Lion King, it’s not always easy, and the timing has never worked out. But this summer I went to see After Zoey, which was written by professor of theatre Adam Hester (’77) – it was divine – and while I was catching up with him, I told him I’d love to come back to ACU sometime soon. A few weeks later, Dawne (Swearingen ’95) Meeks called me because they were looking for a way to kick-start this semester’s Lights Up! fundraiser for ACU Theatre. The Lion King let me off for a few days, and we started planning a cabaret show. The title and theme actually came about while I was making travel plans. On a whim, I Googled the distance from ACU to New York City (1,730 miles) and it got me thinking about how far I’ve traveled – geographically, intellectually, spiritually – since I was a freshman theatre major. That journey was facilitated in no small part by the education and support I received at ACU. Now, I get to make the 1,700-mile trip back, and hopefully bring some of my favorite things about Broadway to the university and department that gave me so much, and that still hold a very dear place in my heart. 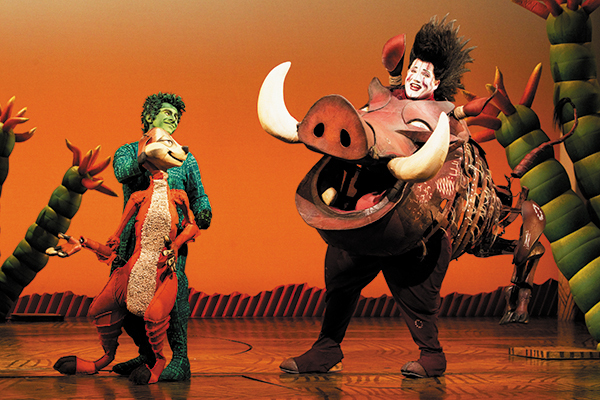 After five-and-a-half years of performances as Pumbaa, how do you look at the role compared to when you first began playing it in 2010? It’s so strange, because we learn all these skills to bring a character and story to life, and they’re invaluable. And when I first started in the role, that process was exhilarating. Discovering who Pumbaa is, what drives him, what matters to him, why he has a good story to tell – that was thrilling. After more than 2,000 performances, the goal is the same: to keep re-creating that first time energy and feeling, as though I’m still telling the story for the first time. The process is a little different, because I know the show so intimately now. So instead of figuring out the show (like we did when we were first learning it), now we are constantly looking for new ways to keep the show fresh, alive and true to the story we’re telling. One of the reasons it’s lasted so long on Broadway (it’ll be 18 years on Nov. 17) is that it has a creative team and cast who refuse to become sedentary and succumb to mediocrity. At 45 pounds, Pumbaa’s costume is reportedly the heaviest in The Lion King. How have you adapted to wearing it? It’s no secret that Pumbaa likes to break actors. He even broke me in my first year, and I was out of the show for three months getting knee surgery. I’m actually grateful to Pumbaa and the surgery, because they forced me to take charge of my health. I lost weight to take the pressure off my knees, and have made the gym part of my job. Now, I still get sore and tired from time to time, but I’m able to lead a pretty active lifestyle in addition to the show. Does Pumbaa’s onstage friendship with Timon (played by Fred Berman) translate to an off-stage one as well? 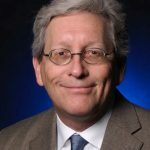 If Fred ever reads this, he’ll probably make fun of me, because I’ll get all sappy about him. I hope everyone is lucky enough to work with and share a dressing room (or office or cubicle or whatever) with someone like Fred Berman. We joined the cast together, so we’ve been sharing a dressing room for five-and-a-half years. While it’s true we often fight like an old married couple, I consider myself very lucky to say that Fred is indeed one of my closest friends. He also is hilarious, and is a large part of the reason the show never gets boring for me. Are you successful at leaving Pumbaa’s makeup and costume at the Minskoff Theatre at the end of the day, or does your wife, Christina, think you take any part of the character home with you? Christina often tells me that I “Have a little Pumbaa” behind my ear. I think I’m pretty good at leaving work at work, but work, in the form of grease paint, doesn’t always return the favor. You have performed as Babkak in Aladdin, another Disney stage musical on Broadway. How did that opportunity come along and what was it like? That was a crazy experience, and I haven’t had that much fun in a long time! The usual Babkak was injured, and the guys who cover his role were already needed to cover other roles. I’d done some of the first readings of Aladdin when they were workshopping it to figure out if they would bring it to Broadway. They called me on a Tuesday and told me they wanted me to learn the show in a week and then go into performance! I buckled down and worked as hard as I could, and the cast and crew were more supportive than I could have asked for. In fact, when I had my “put-in rehearsal” (where I do the show in full costume, makeup, and sets, etc., but the rest of the cast doesn’t have to wear full costumes), the cast all made The Lion King costumes to welcome me into Aladdin. I didn’t get to spend a lot of time there because, fortunately, the fellow who played Babkak was able to heal quickly and return to work. Perhaps I’ll go back one day, but for now, I’m just grateful I got to perform in the show and meet that wonderful group of people. Do you see yourself doing musical theatre for a career or exploring other forms of acting? I love theatre and musical theatre, and they’ll always be my first love, but there’s a whole different kind of fun (and a slightly different set of tools) to use when you’re acting for the camera. I will be grateful to have a career acting in any medium. 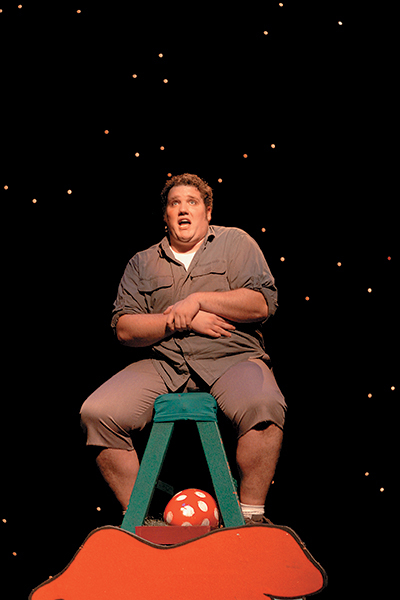 Jeffrey portrayed Horton the Elephant in Seussical, the 2005 Homecoming Musical performed during ACU’s Centennial Celebration year. What did you learn during your time in ACU’s Department of Theatre that still resonates each day? There’s a very long list, but here a few highlights. If had to pick one central theme I picked up from ACU, it would be that theatre is an act of service. It’s not about showboating. It’s not about getting famous or rich. It’s not a highlight of the self; in fact, it is a letting go, a giving away, of self. In a way unique among the fine arts, we make the word flesh with our whole selves, our bodies, our minds, our voices, our spirit. As soon as you take that gift, that service, and make it about yourself, you’re missing the whole point of what good theater is. When people come to see a performance, whether it be The Lion King or 1,700 Miles to Broadway, my hope is that they leave with something they didn’t have before; and a part of that something will be a little piece of me. I also learned, just as importantly, that you should be nice to everyone, all the time. There’s no reason to not be nice, ever. It’s easy. Just be polite. They call that being a grown up in the world. The stage hands, the dressers, the musicians, the ushers, the stage managers, the porters, all of them enable you to do what you do as an actor. So be grateful. They work just as hard (often much harder) than you do, and nobody is clapping for them at the end of their workday. But most of all, I learned from my instructors by watching how they lived their faith as opposed to talking about their faith. What I’ve found in my career (and life) is that people don’t need me to tell them about Jesus very often. They don’t need to hear about how they’re sinning, or why what they believe doesn’t make as much sense as what I do, or even about how Jesus loves them no matter what they do or who they are or where they come from. They don’t need me to talk about that stuff. They probably need me to live it. They need me to be supportive when they’re hurting. They need to know I can be loyal and kind and trustworthy, regardless of what they do. That beautiful group of teachers at the ACU Department of Theatre almost never talked about that. They were too busy showing it to me by living it. What’s your “elevator speech” to someone who asks about the ups and downs of your professional career since marrying and moving to New York City? After ACU, I went to Rutgers University in New Jersey (at the time, it was one of the top five schools in the country for a master’s degree in acting). I graduated from Rutgers in May 2009. I married in October 2009, and Christina and I moved to New York that November. What my dad was getting at was that I identify myself as one of God’s kids. If I really believe that, then I believe that being God’s kid is enough. I can work at Starbucks, as a garbage man, as a Broadway performer or as a contractor, and none of them would tell me who I am. You can’t identify yourself by your art. You are much bigger than what you do. The rest of the story is that about three weeks after I talked to my Dad, I booked two television shows. A week later, I booked The Lion King.